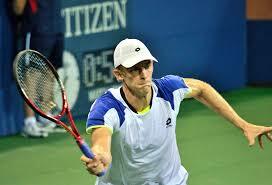 Tennis: Roger Federer unable to create the magic while Kevin Anderson enjoys a dream debut at the ATF Finals in London. Roger Federer lost 7-6 (4), 6-3 in his first league match against Kei Nishikori, while Kevin Anderson enjoyed a dream debut with a 6-3, 7-6 (3) beat-down of Dominic Thiem. Dominic Thiem versus Kevin Anderson. Dominic Thiem is expected to perform well at the year-end ATP Finals this time around. He, after all, has done reasonably well in the fall season so far and should be able to carry his good form into this event. The 32 years old Kevin Anderson, however, has enjoyed a better fall stretch than even Thiem, and extended that run, against Dominic, yesterday. Thiem won both his previous matches against Kevin this year but came a little short against Anderson’s big serve in his first match in London. With this loss to Kevin Anderson, Thiem falls further, to 2-7, in his career-record against Anderson. Roger Federer versus Kei Nishikori. Roger Federer was looking sharp after a good showing against Novak Djokovic last week. Against Nishikori, however, Federer lost the plot and played error-prone tennis and went down quite tamely. Kei Nishikori, to his credit, never took his foot off the pedal and played a consistent game using his backhand to create ample opportunities and push Roger on the backfoot. Roger secured an early break, in the second, but Kei came back strong to break him right back in the following game. He broke Roger again for 4-2 and wrapped that set at 6-3. 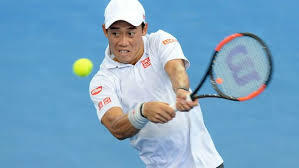 It was Nishikori’s first win, after six consecutive losses to Federer. The loss puts Roger under significant pressure to win the remaining group matches, for a shot at the semi-finals. ← Tennis: Could Stefanos Tsitsipas save tennis from the tyranny of the Big Three?